The Bay of Kotor is one of the most beautiful places in Montenegro and absolutely worth seeing. Unfortunately it is also one of the most expensive. We try to stick to a budget of €50 per day between us which has been going really well. But places like Kotor really test our budgeting abilities. We slept in the van (two nights free camping and one in a campground) which was a major money saver. The van also meant we had free transport around the bay. But if you're not in a van you can still use these tips to save a few pennies during your visit. We were pleasantly surprised by the amount of free parking all around the bay. In Perast, park on the hilltop and walk down to the old town (5-10mins). In Kotor, continue past the old town where there is paid parking and turn right along the bay at the roundabout. On both sides of the road are free parking lots as well as free on street parking. We ended up spending the night in one of the parking lots without a problem. If you're there in the warmer months or you plan on hiking to the fortress then you're going to need some refreshment. Luckily you don't need to fork out for bottled water as there are free water fountains located throughout the old town. Take a reusable water bottle and fill it up! One fountain is even conveniently placed at the start of the path to the fortress. And yes, the water is safe to drink! The views from the fortress are definitely worth the hike but if you don't fancy paying €3 per person and hustling with a constant stream of cruise boat tourists then take the back route known as the Ladder of Cattaro. It starts just outside the old town and leads you up the mountain on a serpentine trail. It's uphill and takes about half an hour but the path is easy and provides amazing views. Follow the red circles past the first (and only) little house you come to to an abandoned church. From here you'll see the window in the wall which joins you back onto the main path. Earth Trekkers also give a detailed account of the hike including continuing past the fortress for even more epic views from the top of the mountain. You can go out the normal route again without problems. We thoroughly recommend starting early, when we arrived at the top at 9am we were joined by around 15 other people. On our way down we passed easily 200 people on their way up! There are plenty of places to sit and enjoy a picnic in the old town or along the water front. So pop into a bakery, get some burek or other tasty treats and take a seat. Also a great idea for the evening to take up to the fortress for sunset. We came a across a brilliant and affordable bakery called 'Mamma Mia' just outside the old town. 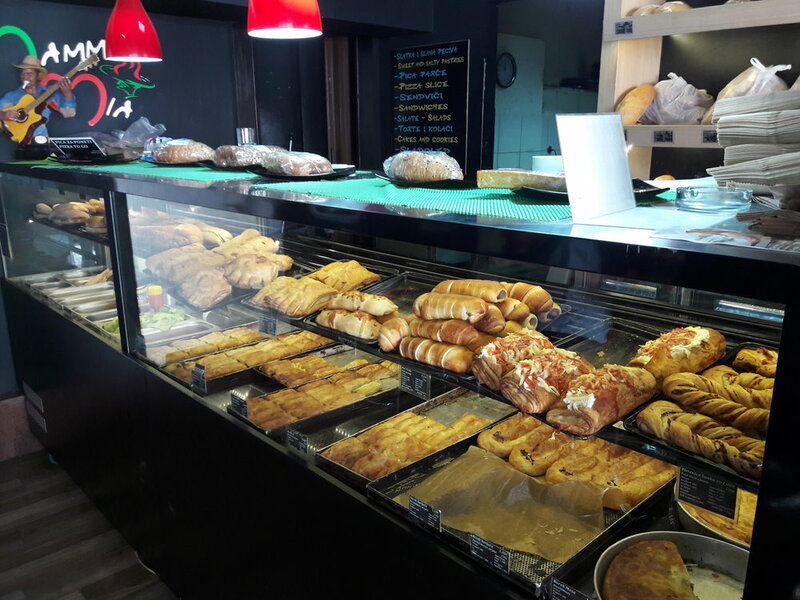 They do breakfasts and coffee or a huge range of sandwiches, burek and baked goods to take away. The small beach areas near Prcnj are really lovely for a relaxing afternoon. There are public buses going regularly around this way and there is also plenty of free parking (probably ok for free camping) and other guest houses and accommodation. If you need or want to stay in Kotor try airbnb or there are also a couple of hostels. I've heard good things about Old Town Hostel which has great tour connections and budget meal options. For more ideas for finding budget accommodation anywhere in the world read our top tips! There are so many little spots to enjoy for free around this area and wandering the old town of Kotor doesn't cost a thing. If you're a bit savvy you can spend a great few days in Kotor on a budget. Spending a bit longer in Montenegro? 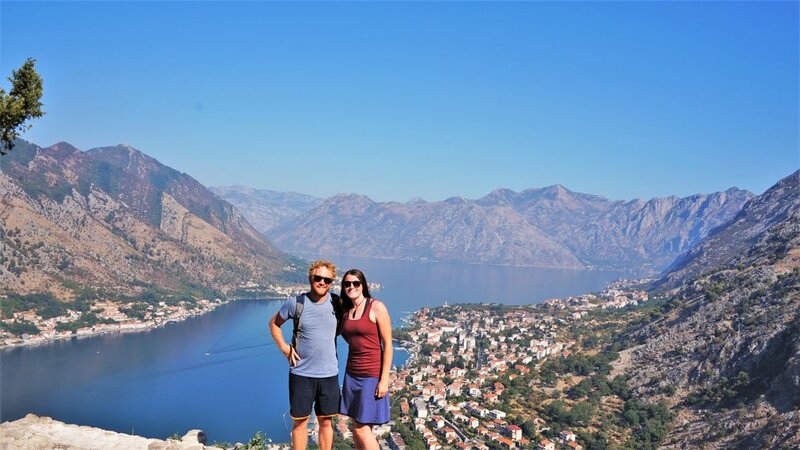 Check out this one week Montenegro itinerary.